Looks like someone might be ready for the 4th. I kept hoping I would see these in my size somewhere. So happy I found them! 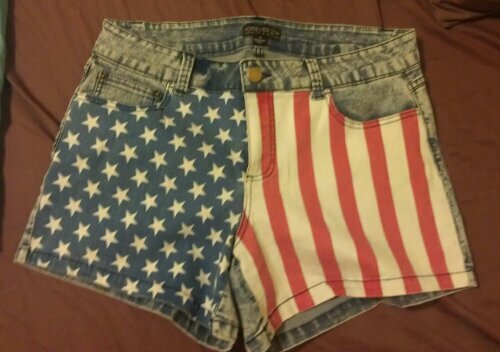 Get these cute plus size American flag shorts at forever21! Go hurry! I’m sure they’re going to go fast!